JD Dental Care in Melbourne offers a variety of modern cosmetic dentistry treatments to improve the appearance of your teeth and smile. From teeth whitening to a combination of cosmetic treatments we will advise and create a care plan to work with you towards the desired outcome. Veneers cover the front teeth and can significantly enhance the appearance of your smile by improving the colour and shape of your front teeth. Veneers are excellent for treating chipped, discoloured, slightly misaligned teeth or gaps between front teeth. They are a more conservative treatment than a crown and are often an alternative if the underlying tooth is strong and healthy. Veneers are bonded to the front surface of the tooth and could be done directly using a composite filling (tooth coloured) or indirectly using porcelain. We will discuss your needs and plan with you the treatment choice that will suit you best. For porcelain veneers in Melbourne, consider JD Dental care. Book your consultation appointment today to know what veneers can do to rejuvenate and bring back your smile. Non – invasive procedure that lightens discolorations of teeth, enhancing your smile. The most common causes of discolorations are aging, consumption of staining substances (coffee, tea, tobacco), trauma, old restorations and nerve damage. There are different whitening systems in the market that can be applied in the dental chair or inn the comfort of your own home. At JD Dental Care we will recommend the ideal one for you after a full examination, diagnosis and clean to reduce the potential risk of complications and achieve the best results. After dental whitening teeth will always be lighter. However, you may need periodic re-whitening for one or two days, once or twice a year, especially if you continue to use staining substances like caffeine or tobacco products. 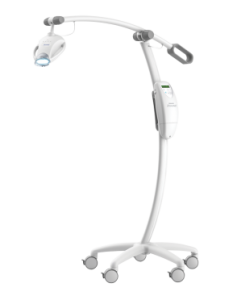 JD Dental Care offers Philips Zoom! the #1 patient – requested professional whitening treatment. Zoom White Speed Whitening is the quickest, easiest and safest way to effectively whiten your teeth while supervised by your dentist, in just 1 dental visit. Learn more about our Philips Zoom! Tooth Whitening offer. 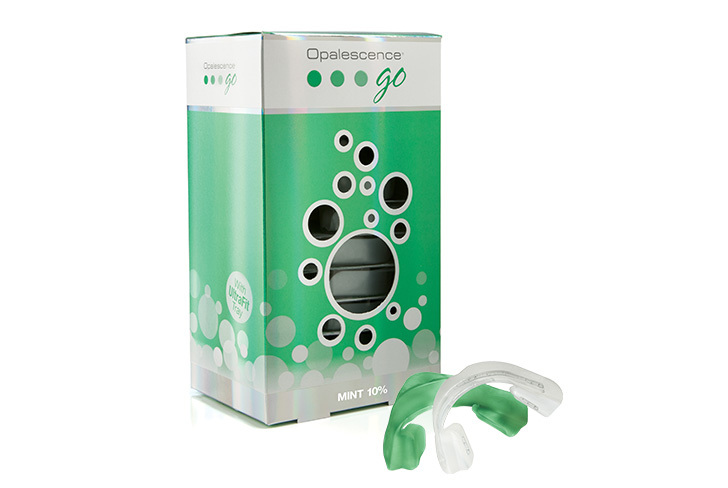 Opalescence Go is a powerful, professional alternative to over-the-counter whitening options. It is simple, fast and economic way to start a whitening treatment or for whitening touch-ups. The pre-filled, disposable trays fit comfortably over your teeth, making it easy to take your whitening to go. With so many different whitening products on the market, it’s easy to get confused. Always consult your Dentist before you commit to any Whitening treatment. Here are some facts. Yes. Clinical studies have shown that whitening your teeth with carbamide or hydrogen peroxide under the supervision of a dental professional is a safe comfortable way to get a bright, white smile. An initial consultation is recommended to ensure there are no underlying oral health issues. The most common side effect is tooth and gum sensitivity. If sensitivity occurs, it is often temporary and will go away in 1-2 days. Your dentist is your best resource to ensure that you are a good candidate. We recommend the use of Tooth Mousse for 1-2 weeks before your whitening procedure to improve lightening results, resolve pre-existing sensitivity. Will not interfere with the action of bleaching agents. Improves the aesthetic outcome following whitening by increasing mineral content in the enamel of teeth. Reduces the propensity for health bleached teeth to be stained by smoking or drinking of tea / coffee. Teeth whitening results are very stable, leaving you with a stunning smile long after treatment is over. However, there are a few factors that can make teeth become discolored again. Maintenance whitening can help combat recurring discoloration. At-home whitening products have been shown to help reduce whitening fade-back. There are many causes to tooth discoloration. Some of the most common include the consumption highly coloured foods and drinks (berries, coffee, tea, red wine). Some medications, aging, smoking and trauma can also cause teeth discoloration. Working from the inside out, the active ingredients in the bleaching gels penetrate your teeth to break down the discolored molecules deep down in your teeth, removing stains and whitening your smile.